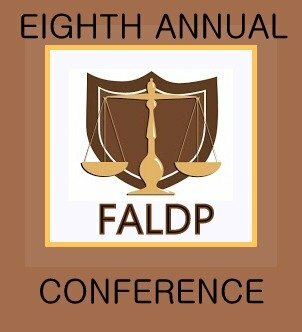 Our 8th Annual FALDP Conference is Saturday, May 5, 2018. The conference will be held at the Fountain Beach Resort in Daytona Beach. Our agenda and guest speakers will be - David Ayala who will be speaking to us about criminal justice reform, second chance workshops, and the voting rights bill on the ballot in November; and Sheila Smith, longtime FALDP member and certified business coach offering her coaching services, and explaining how you can grow your business. Sheila offers discounted coaching services to FALDP members and a 30 minute free coaching session to members who purchase a Turn Key Business Bundle; a Flat Fee Course Bundle; or register for the mandatory course "Avoid UPL!". The $95 conference fee is the same, and if you did not previously register for the conference, we will offer the same combination of conference fee and membership/ renewal fee as we usually do - $170. for both. (Now, during April only $150. for both) In addition we are waiving the $29.00 fee for all who sign up for the conference and join as a new member or renew their membership at the same time. Accommodations at the Fountain Beach Resort for conference attendees are $89. per night. We encourage you to register for the conference and make your reservations early, as May is a busier time in Daytona Beach than our usual September or October time slots.So register early. The discount code for accommodations will be provided to you once you register for the conference. For those of you who registered for the conference in September, and did not request a refund - your membership renewal fee will be waived. You know who you are - and so do we and we appreciate you.And since your membership fee is waived, you will need to submit payment for the mandatory "Avoid UPL!" course. Conference registration is available on our Annual Conference Page. Register early so that you will not be shut out. While you are not at all required to stay at the Fountain Beach Resort, it is a great deal at $89. per night. During April the Conference Fee + Membership is only $150. for new or renewing members. AND current members may pay at the door - no need to pre-register. Please visit our Amazing Specials to find details about our membership and conference specials. LegalForce sought a court order enjoining LegalZoom from preparing and filing trademark applications at the Patent and Trademark Office. The complaint added the PTO and various state bars as defendants for failing to enforce rules governing the legal profession by allowing LegalZoom to provide those services. Judge Maxine M. Chesney of the U.S. District Court for the Northern District of California dismissed the portion of the complaint related to LegalForce Inc., a technology firm associated with LegalForce RAPC.LegalForce Inc. failed to identify that it has “suffered an injury in fact” to establish a controversy between it and LegalZoom, Chesney said. LegalForce’s charges under federal law for alleged false or misleading statements in advertising, contained “no factual allegations to support a finding that LegalZoom’s advertising has had any effect on LegalForce’s commercial interests or its reputation,” she said. Chesney dismissed California state charges for effectively the same reason—LegalForce’s failure to identify exactly how it is being harmed. LegalForce RAPC Worldwide, P.C. v. LegalZoom.com, Inc., N.D. Cal., No. 17-cv-07194-MMC, 4/10/18. I find this case interesting because when has the Florida Bar ever needed an actual allegation of harm to pursue a UPL investigation? And since UPL is a third degree felony in Florida, whatever happened to “no victim, no crime”? Once you pay TIKD, nothing else is required from you. Get on with other things while TIKD hires a qualified attorney on your behalf to challenge your ticket. As a response to the UPL investigation TIKD's attorneys filed suit against the Florida Bar alleging anti-trust violations and citing the N.C. Board of Dental Examiners v FTC. Most of us have known for a long time that phone etiquette requires us to put down our phones when we're with other people, like sharing a meal, or trying to have a conversation. Although its not law yet in Florida, its generally a good safety measure to ignore your phone while driving. And certain places require that we turn our phones down or off. Places like the courthouse and your voting place. But did you know that the very presence of your cell phone reduces cognitive ability? Cognitive ability is the ability to think. A study published in the Journal of the Association of Consumer Research found that study participants who had their cell phones on and in their sight struggled the most with assigned tasks. Smartphones may redirect the orientation of conscious attention away from the focal task and toward thoughts or behaviors associated with one’s phone. Prior research provides ample evidence that individuals spontaneously pay attention to their phones at inopportune times, and that this digital distraction adversely affects both performance and enjoyment. Second, smartphones seem to redistribute the allocation of attentional resources between engaging with the task at hand and inhibiting attention to one’s phone. Because inhibiting automatic attention occupies attentional resources, performance on tasks that rely on these resources may suffer even when consumers do not consciously pay attention to their phones. Researchers investigated whether merely having one’s own smartphone nearby could influence cognitive abilities. In two lab experiments, nearly 800 people completed tasks designed to measure their cognitive capacity. In one task, participants simultaneously completed math problems and memorized random letters. This tests how well they can keep track of task-relevant information while engaging in a complex cognitive task. In the second task, participants saw a set of images that formed an incomplete pattern, and chose the image that best completed the pattern. This task measures “fluid intelligence,” or people’s ability to reason and solve novel problems. Performance on both of these tasks is affected by individuals’ available mental resources. The experiment was simple. Before completing these tasks, researchers asked participants to either place their phones in front of them (face-down on their desks), keep them in their pockets or bags, or leave them in another room. Importantly, all phones had sound alerts and vibration turned off, so the participants couldn’t be interrupted by notifications. The results were striking: individuals who completed these tasks while their phones were in another room performed the best, followed by those who left their phones in their pockets. In last place were those whose phones were on their desks. We saw similar results when participants’ phones were completely turned off: people performed worst when their phones were nearby, and best when they were away in a separate room. Merely having their smartphones out on the desk led to a small but statistically significant impairment of individuals’ thinking ability — on par with effects of sleep deprivation. So, if you need to focus fully on the task at hand, its best to have your phone turned off AND leave it in another room. Once our course is launched, we will need member document preparers to refer these consumers to. These will be preferred customers as they will already be educated about their needs. New mandatory UPL compliance course available now for registration within our Members Only area. The cost is $29.00. For the first time we are requiring members to complete a compliance course about the unauthorized practice of law (UPL). Despite our best efforts at distributing information about UPL and how to avoid it, we find that members need better and more specific information. We have never tried to set ourselves up as the “UPL Police” and have no intention of doing so now. Rather we seek to insure that all members have all the information that we have regarding UPL. We found that our course, “Introduction to Preparing Florida Legal Documents”, doesn't go far enough in explaining the vagaries of UPL. So we removed some of the UPL information from the Intro Course and added it to the New UPL Course. 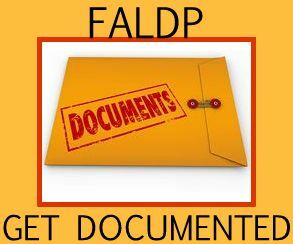 MORE INFORMATION: Beginning in 2018, all members are required to take the New UPL Course - “Avoid UPL!” either upon joining FALDP, or at the time of membership renewal. The course fee is $29. The course will be required every year, but as with all of our courses, once you've taken the course, you can always return to it at no charge. So all members will pay for the course once (or take the course for free as a special offer) , but take the course every year. 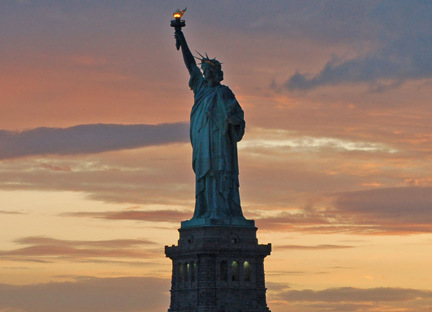 We intend to add new content regularly. One of our long time members and certified coach, Sheila Smith, is offering a free 30 minute business coaching session to FALDP members who register for the "Avoid UPL!" course. 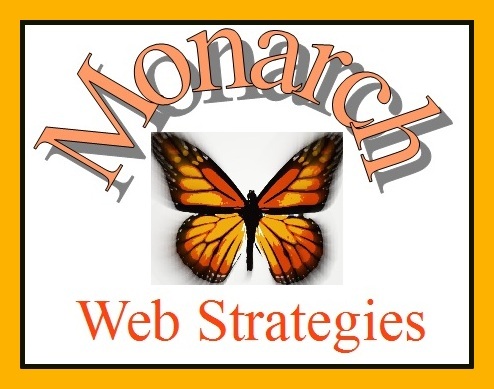 And the same offer of one free coaching session is available for those who sign up for ad placement services through Monarch Web Strategies here - MWS ad placement services and sign up and learn more about Monarch Web Strategies here - Internet Marketing During the coaching sessions any number of topics can be discussed. Such as avoiding UPL, handling difficult customers, how to increase profitability, what's holding them back from becoming successful, etc. Anything related to a member's business development is fair game for discussion.